Ms. Kiana Thompson has demonstrated a commitment to educational resilience and overall achievement in society. 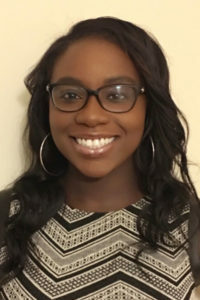 Ms. Thompson has a Master’s of Arts (MA) degree in School Counseling with a specialization in counseling urban students from Trinity Washington University. Additionally, Ms. Thompson obtained a Bachelor of Arts (BA) degree in Psychology from Clark Atlanta University. In the past seven years Kiana has enjoyed working with children and adults. Ms. Thompson has taught in China, counseled incarcerated individuals, and worked in a variety of environments with students including those with special needs. Kiana is also certified in SBIRT Screening. Ms. Thompson has received Continuing Education Credits in Loss and Grief, Substance Abuse/Disease Model, Pharmacology, Cluster B Personality Disorders, Relapse Prevention, Correctional Ethics, Conflict Resolution, Homophobia in the Treatment Setting, De-Escalation of Aggression, Co- Occurring Disorders and Cultural Sensitivity.